KXCI's Top 100 albums of 2012 as determined by airplay on 91.3FM during the year. The Top 10 as determined by listeners in an online survey is at the bottom, thanks to everyone who voted! #1 Brian Lopez, Ultra - First local artist to top our annual countdown! #20 Sergio Mendoza Y La Orkesta, Mambo Mexicano! #44 Ani DiFranco, Which Side Are You On? #68 Punch Brothers, Who's Feeling Young Now? #5 (tie) Sergio Mendoza Y La Orkesta, Mambo Mexicano! 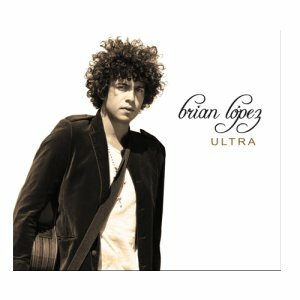 Brian Lopez' 'Ultra' absolutely deserves to be no.1 spot. I've had the album for 4 months now and cannot stop playing it! A sublime voice and beautiful timeless songs that are truly unique! I was introduced to 'Ultra' by my sister in September and have been playing it endlessly ever since! I can now sing in Spanish!!! Superb singer/songwriter... really excited for the next album... BRING IT ON!